Has Partial Substantive Consolidation Taken Off with Republic Airways Holdings? Substantive consolidation is the ultimate disregard of the corporate separateness of a group of related debtors--it is “the effective merger of two or more legally distinct (albeit affiliated) entities into a single debtor with a common pool of assets and a common body of liabilities,” but without the actual de jure merger of the debtors. All of the assets of the several debtors are thrown into a single (metaphorical) pot, and all of the liabilities of the several debtors are combined (with intercompany debts and multiple claims for the same underlying liability, such as parent or subsidiary guaranties, eliminated) against that pot of assets. 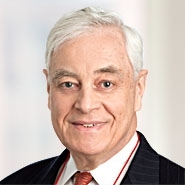 The substantive consolidation of entity debtors is not mentioned anywhere in the Bankruptcy Code and rests entirely on judge-made law with its origins predating the adoption of the Code in 1978.
two critical factors: (i) whether creditors dealt with the entities as a single economic unit and did not rely on their separate identity in extending credit, or (ii) whether the affairs of the debtors are so entangled that consolidation will benefit all creditors. In our Court what must be proven (absent consent) concerning the entities for whom substantive consolidation is sought is that (i) prepetition they disregarded separateness so significantly their creditors relied on the breakdown of entity borders and treated them as one legal entity, or (ii) postpetition their assets and liabilities are so scrambled that separating them is prohibitive and hurts all creditors. May a bankruptcy court order debtors to be substantively consolidated as to some of their unsecured creditors and not others? I do not recall ever seeing such a case until In re Republic Airways Holdings, Inc., 565 B.R. 710 (Bankr. S.D.N.Y. April 10, 2017), aff’d, 2018 U.S. Dist. LEXIS 52148 (S.D.N.Y. March 28, 2018). In that case, the debtors’ Chapter 11 plan provided for substantive consolidation. Bankruptcy Judge Sean Lane received evidence and found that the Augie/Restivo factors were satisfied. As a starting point, the Court finds that the Consolidated Debtors operate as a single economic unit. They operate a single business under a single business plan . . . . The Court also concludes that the record supports that the benefits of substantive consolidation outweigh any harm suffered by creditors. Most importantly, the Debtors are concerned about the cost of conducting an intercompany reconciliation and audit. . . . Significant additional time and expense would be necessary to untangle the assets of the Consolidated Debtors, which would result in a longer period of time spent in Chapter 11. Judge Lane then discussed the administrative expenses and business risks that extending the Chapter 11 case in order to “untangle [their] assets” would cause for the debtors. By the time of the confirmation hearing on the debtors’ plan, only one creditor was still objecting to the substantive consolidation effected by the plan. In order to resolve that creditor’s objection, the debtors and the official creditors’ committee proposed to remove any prejudicial effect of substantive consolidation upon the objecting creditor by amending the plan to provide that creditor with the option to have its claim treated under the plan as if substantive consolidation either applied or did not apply as to its claim, exercisable after the creditor knew how its claim would be treated in each instance so that it would have sufficient information to choose the treatment more favorable to it. Judge Lane’s confirmation order amended the plan as the debtors and the committee had proposed and confirmed it as so amended over the objecting creditor’s continuing objection, and that order was affirmed on appeal both as to the proper application of the Augie/Restivo factors in general and the special treatment for the objecting creditor. Thus, depending on the objecting creditor’s exercise of its option, the debtors were substantively consolidated as to all unsecured creditors except one. Is Republic Airways Holdings a precedent for the proposition that, assuming the Augie/Restivo factors (or whatever they’re called in other circuits) are satisfied, a Chapter 11 plan may provide for partial substantive consolidation? I think not. I believe that the outcome in Republic Airways Holdings was an artifact of the procedural posture of the case at the time that the concept of an option for a single creditor to elect unconsolidated treatment was first introduced and not an endorsement in principle for the concept of partial substantive consolidation. The Augie/Restivo factors are, it seems to me, necessarily satisfied or not satisfied for the entire company of unsecured creditors--it cannot be, for example, that “the affairs of the debtors are so entangled that consolidation will benefit all creditors” except that a subset of them will or might be benefitted by the absence of consolidation. If a subset will or might be benefited by non-consolidation, then it is necessarily false that the affairs of the debtors are so entangled that consolidation will benefit all creditors. Furthermore, since any particular plan, especially a plan for which full or partial substantive consolidation is considered, deals with a finite pool of resources that is insufficient to pay all allowed claims in full, any treatment of the claims of a subset of creditors that a plan provides or optionally offers that is more favorable to them than the treatment of all other creditors of the same class (i.e., than the favored creditors would otherwise receive) necessarily prejudices those other creditors, thus violating the fundamental principles of Augie/Restivo, Continental Vending Machine Corp. and Seatrade Corp. Procedural factors suggest that the District Court’s affirmance of Judge Lane’s decision and confirmation order is unlikely to be appealed to the Second Circuit. If Republic Airways Holdings’ apparent blessing of partial substantive consolidation is understood as resulting from something of a procedural fluke, we’ll have to await a case in which a creditor that would receive full substantive-consolidation treatment under a plan proposing partial consolidation opposes it in principle before we have a decision that squarely faces the question whether partial consolidation could ever be compatible with the principles laid down in the case law. M.E. Kors, Altered Egos: Deciphering Substantive Consolidation, 59 U. Pitt. L. Rev. 381 (1998)(“Kors”). Or at least all of their unsecured liabilities. See James Talcott, Inc. v. Wharton (In re Continental Vending Machine Corp.), 517 F.2d 997, 1001 (2nd Cir. 1975), citing In re Pittsburgh Railways Co., 155 F.2d 477, 484 (3d Cir. ), cert. den., 329 U.S. 731 (1946). Section 302 authorizes consolidation in the cases of spouses who filed a joint petition. Chemical Bank New York Trust Co. v. Kheel (In re Seatrade Corp.), 369 F.2d 845 (2nd Cir. 1966). Union Savings Bank v. Augie/Restivo Baking Co., Ltd., 860 F.2d 515, 519 (2nd Cir. 1988)(citations and internal quotation marks omitted). We have made it very plain that because consolidation in bankruptcy is “a measure vitally affecting substantive rights,” the inequities it involves must be heavily outweighed by practical considerations such as the accounting difficulties (and expense) which may occur where the interrelationships of the corporate group are highly complex, or perhaps untraceable. In re Republic Airways Holdings, Inc., 2018 U.S. Dist. LEXIS 52148 at *10 (S.D.N.Y. March 28, 2018), citing Continental Vending Machine Corp. See In re Republic Airways Holdings, Inc., 565 B.R. 710, 717 (Bankr. S.D.N.Y. April 10, 2017)(“Another ‘key factor’ courts have considered is whether substantive consolidation ‘will yield an equitable treatment of creditors without any undue prejudice to any particular group,’” citing In re Food Fair, Inc., 10 B.R. 123 (Bankr. S.D.N.Y. 1981)). The hypothetical possibility of partial substantive consolidation had been mentioned in Kors at 450-51, which was picked up in Owens Corning, 419 F.3d at 210 n.16. Order Confirming Second Amended Joint Plan of Reorganization under Chapter 11 of the Bankruptcy Code [docket no. 1722], Case No. 16-10429 (Bankr. S.D.N.Y. April 20, 2017). In re Republic Airways Holdings, Inc., 2018 U.S. Dist. LEXIS 52148 (S.D.N.Y. March 28, 2018). The objecting creditor persisted in its objection and then appealed apparently seeking to have its cake and eat it too--to receive the benefits of both consolidation and non-consolidation. District Judge Oetkin would have none of that.